Provide comfort for the family of Larry Wileman with a meaningful gesture of sympathy. Larry E. Wileman, Sr., 67, of Mifflintown, passed away at 2:20 PM on Monday, January 28, 2019 at the Geisinger-Lewistown Hospital. Born on December 20, 1951 in Lewistown, Mifflin Co., he is a son of the late William and Dorothy (Rowles) Wileman. Larry was employed and retired as a laborer for ACPI in Thompsontown. He enjoyed scratch off lottery tickets and was an avid Eagles and Jimmie Johnson fan but his greatest joy came from spending time with his family, especially his grandchildren. Mr. Wileman is survived by his children, Larry E. “Hoss” Wileman, Jr., Kevin W. “Fat Boy” Wileman and his wife Holly, all of Mifflintown, Brian E. “Scruff” Wileman and his wife Cheyene of Port Royal, and Jennifer E. Cavanaugh and her husband Herb of Mifflintown; six sisters, Carol Zook, Gloria St. John, Lois Grassmyer, Cheryl Wileman, Susan Goshorn, and Linda Breon; and seven grandchildren, Gage Wileman, Kelly Wileman, Brian Wileman, Jakobie Dalton, Julyauna Dalton, Jaxson Cavanaugh, and Liberty Cavanaugh. A Viewing will be held from 5:00-7:00 PM, Friday, February 1, 2019 at the Brown Funeral Homes, Inc., 100 Bridge St., Mifflintown. Online condolences and tributes can be shared with the family at www.brownfuneralhomesinc.com. 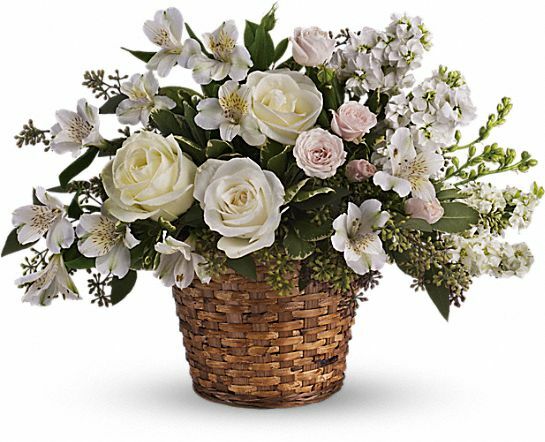 To send flowers in memory of Larry E. Wileman Sr., please visit our Heartfelt Sympathies Store. Herb & Ang, Curt&Kristy, Patrick &Chelsea, Jerry&K sent flowers to the family of Larry E. Wileman Sr..
As you grieve know that we are remembering you and honoring the memory of "Larry Wileman". Herb & Ang, Curt&Kristy, Patrick &Chelsea, Jerry&K purchased the Love's Journey for the family of Larry Wileman.